Due to popular demand, we’re making some changes to the enhanced workflow timeline to further improve the filing experience. These changes are expected to be released on Tuesday, 2/27 or Wednesday, 2/28. 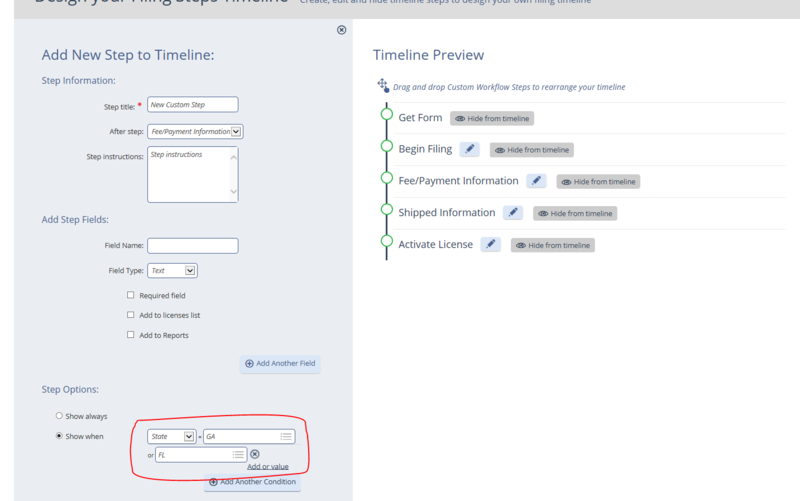 As before, please note that customizing the timeline is an administrator right. 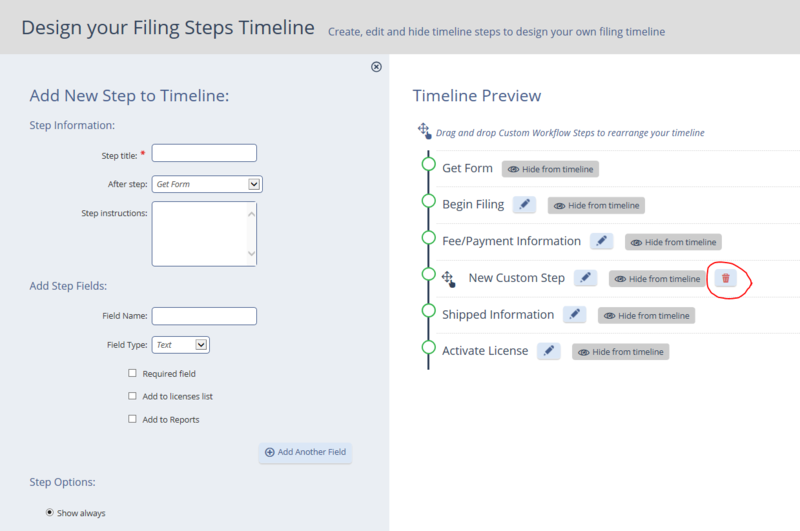 Setting up the timeline in a central place: Now you can access the customization area by clicking your username in the top right corner of the screen, clicking Setup, then clicking System Settings and then Filing Steps Timeline. Hiding steps: now you can hide a system step, if needed. If there’s a system step that’s not being used by your team, you have the option of hiding it from the workflow timeline. Adding OR conditions: When creating or editing a custom workflow step, you ave the option of making the step display conditionally. You can now add ‘or’s to the conditions. For example, you can have a step display when the state is ‘GA’ or ‘FL’.